In what can be called a landmark ruling, the High Court of Kerala has ordered a CBI investigation to trace out the absconding Judgment debtor, apparently a “swamiji”. This decision by the court is in a civil case, which eventually metamorphosed into a quasi-criminal one, as the Judgment debtor absconded. Justice V. Chitambaresh, in his 18 page judgment held that, CBI investigation is ordered in exercise of the powers under Section 151 of CPC and Article 227 of the Constitution of India to do complete justice lest the credibility of the system is lost. The opening statement in the Judgment perfectly sums up the facts of the case. It reads “An elusive ‘Swamiji’ literally makes the decree holder run from pillar to post. He remains invisible to the Amin and the state police. The entire machinery of the state is at crossroads”. The root of this civil case lies in the plaint filed by the junior pontiff, Raghavendra Thirtha, against the senior pontiff of Kashi Math Samsthan, to declare him as Mathadipathi and to restrain his ‘Guru’ Srimad Sudhindra Thirtha from interfering into affairs of Math. But, he met with the anti climax, as the suit was decreed against him, when the District Court, Tirupathi, allowed the Counter claim filed by Senior pontiff. Raghavendra Thirtha was asked to hand over all the deities and other articles belonging to the Kashi Math Samsthan. He preferred appeal, but the High Court of Andhra Pradesh refused to stay the execution of the decree. Finally through a Special leave petition in 2009, he challenged this order refusing to stay the execution, before Supreme Court of India, which refused to grant stay on Execution. Execution petition was filed in 2009, in District Court, Tirupathi which was later transferred to District court, Ernakulam, as the Judgment debtor claimed he has shifted his residence to Ernakulam. Ever since the dismissal of his SLP, the judgment debtor is absconding. 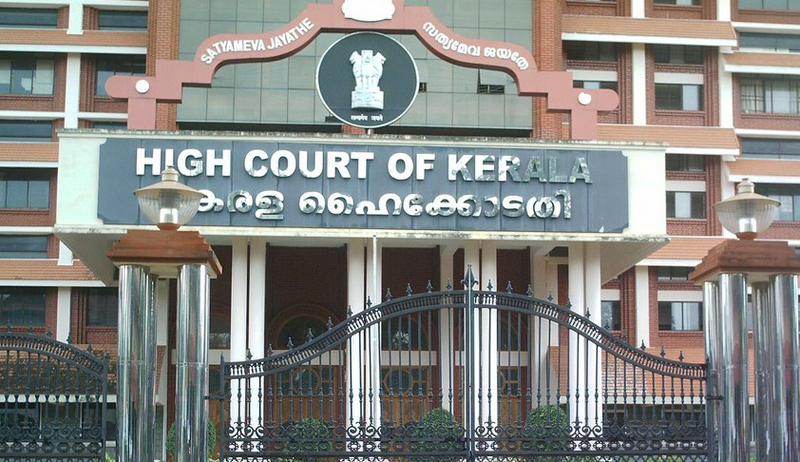 Matters being so, The Senior pontiff, in 2014, approached the High Court of Kerala, by filing a Transfer Petition (Civil), seeking to withdraw the Execution proceedings from the file of District Court, Ernakulam to the High Court. The court however, dismissed this petition in view of the fact that the local limits of jurisdiction of the court cannot be enlarged due to the bar imposed by Section 39(4) of CPC. The court observed “What then is earthly purpose of withdrawing an execution petition pending in the court below except clustering this court with the additional burden?” The court said it can monitor the execution proceedings in exercise of its powers under Article 227, in any case and hence there is no need to withdraw the Execution proceedings pending before District Court, Ernakulam. As the Judgment debtor was nowhere to be seen, a crime was registered under section 57(c ) of Kerala Police Act, 2011. Although the Police investigated the case initially, they later expressed their helplessness to trace out the absconding judgment debtor. It was the Kerala Police who made the suggestion to the court to bring in CBI. CBI also expressed its willingness to investigate the matter. The court noting the fact that jewellery worth crores of rupees and other invaluable items are involved and also taking into consideration the sentiments of the lakhs of followers of samsthan, found that it is a fit case for CBI to investigate. Moreover the Court noted that the appeal preferred by the judgment debtor before Andhra High Court also got dismissed recently. The court further held “the accused has to be traced out and bundled up to be brought before the jurisdictional magistrate”.